In the fast evolving new world of Big Data, you are being asked to answer a new set of questions that require immediate responses on data that has changed in volume, variety, complexity and velocity. A modern data platform must be able to answer these new questions without costing IT millions of dollars to deploy complex and time consuming systems. On November 7, we unveiled details for SQL Server 2012 Parallel Data Warehouse (PDW), our scale-out Massively Parallel Processing (MPP) data warehouse appliance, which has evolved to fully embrace this new world. SQL Server 2012 PDW is built for big data and will provide a fundamental breakthrough in data processing using familiar tools to do seamless analysis on relational and Hadoop data at the lowest total cost of ownership. Built for Big Data: SQL Server 2012 PDW is powered by PolyBase, a breakthrough in data processing, thatenables integrated queries across Hadoop and relational data. Without manual intervention, PolyBase Query Processor can accept a standard SQL query and join tables from a relational source with data from a Hadoop source to return a combined result seamlessly to the user. Going a step further, integration with Microsoft’s business intelligence tools allows users to join structured and unstructured data together in familiar tools like Excel to answer questions and make key business decisions quickly. Next-generation Performance at Scale: By upgrading the primary storage engine to a new updateable version of xVelocity columnstore, users can gain in-memory performance (up to 50x faster) on datasets that linearly scale out from small all the way up to 5 Petabytes of structured data. Engineered For Optimal Value: In SQL Server 2012 PDW, we optimized the hardware specifications required of an appliance through software innovations to deliver significantly greater cost savings, roughly 2.5x lower cost per TB and value. Through features delivered in Windows Server 2012, SQL Server 2012 PDW has built-in performance, reliability, and scale for storage using economical high density disks. Further, Windows Server 2012 Hyper-V virtualizes and streamlines an entire server rack of control functions down to a few nodes. Finally, xVelocity columnstore provides both compression and the potential to eliminate the rowstore copy to reduce storage usage up to 70%. 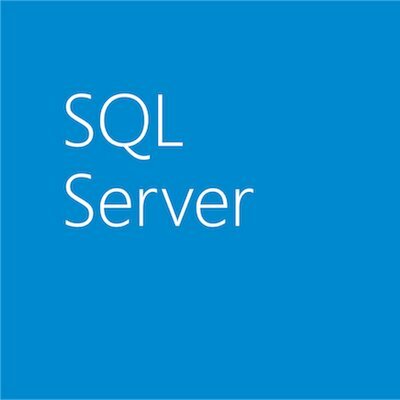 As a result of these innovations, SQL Server 2012 PDW has a price per terabyte that is significantly lower than all offers in the market today. With SQL Server 2008 R2 Parallel Data Warehouse, Microsoft already demonstrated high performance at scale when customers like HyVee improved their performance 100 times by moving from SQL Server 2008 R2 to SQL Server 2008 R2 Parallel Data Warehouse. SQL Server 2012 Parallel Data Warehouse takes a big leap forward in performance, scale, and the ability to do big data analysis while lowering costs. For the first time, customers of all shapes, sizes and data requirements from the low end to the highest data capacity requirements can get a data warehouse appliance within their reach.